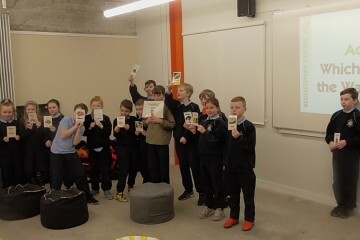 Students from 3rd and 4th class in Scoil an tSeachtar Laoch did a workshop today on Waste, learning all out litter, waste, where our waste goes, and how we can reduce, reuse and recycle. Nearly 42 billion tonnes of electronic waste are disposed of each year around the world . It is estimated that 300 tonnes of gold are wasted through electronic waste disposed of each year with a value of €44 billion.